Suhas Khamkar (born August 9, 1980) is a professional bodybuilder from India. 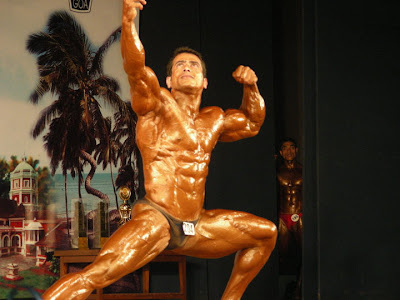 From the region of Kolhapur, Suhas comes from a family of fitness experts and bodybuilders. Suhas's inspiration for body building can be traced back to his hometown Kolhapur where he grew up watching many wrestlers and bodybuilders. However, in the year 1997 at the age of 16, Suhas drew inspiration from Arnold Schwarzenegger and embarked on a journey to become a world champion in the sport of bodybuilding. Suhas started his training under Bibhishan Patil, a famous wrestler and also from Kolhapur. Bibhishal Patil taught Suhas various attributes and techniques of bodybuilding and rendered detailed information about the sport. After his family moved to Mumbai, Suhas continued to work on his fitness and career goal and has inspired many local bodybuilders along the way. An employee of the Central Railroad of India, Suhas Khamkar is the first to win a national gold medal in national level competitions railways. Mumbai boy Suhas Khamkar made ​​India proud of winning a gold medal at the Asian Federation of bodybuilding and fitness Mr. Asia bodybuilding championship. This is a first for India in the past 20 years.He won the gold medal in the 75 kg category in Bahrain recently. Originally from Kolhapur, he lives in Mumbai for over a decade. 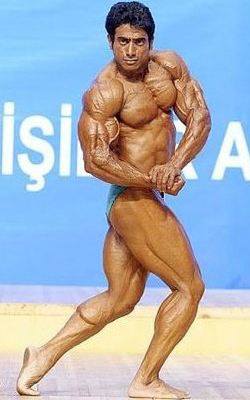 For last 12 years he has been involved in bodybuilding. It was not alone Heera Lal also won a gold medal in the 65 kg category. Khamkar said: "I competed as a bodybuilder for the last 12 years and it was always a struggle to meet food needs, but nothing like this has been undertaken because the cost of living increased so strongly. " It shows how Indian bodybuilders are treated compared to their foreign counterparts, and it is not a pretty sight. Khamkar said: "Competition in Bahrain was one of the most difficult of my life, because there were many bodybuilders other nations. I was also struck by how some bodybuilders vital crutches as a doctor, a masseur and a coach with them, as we can not afford this kind of support staff. " 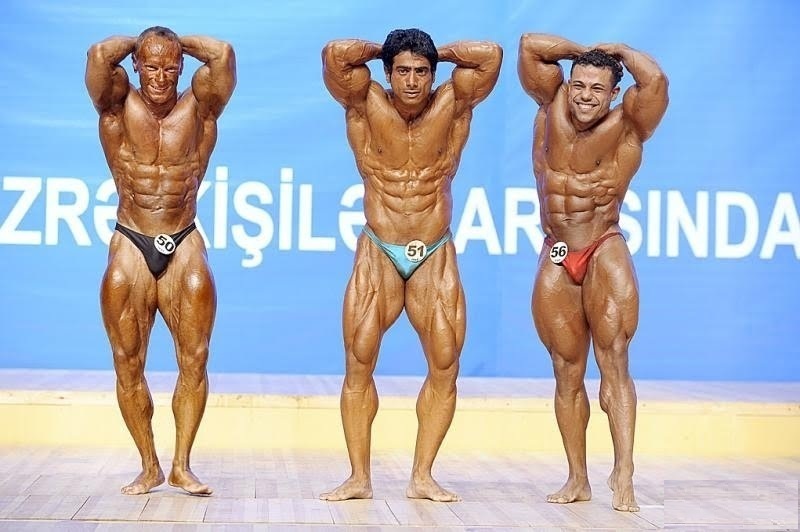 Khamkar said bodybuilders raise funds through supporters to compete abroad, "but the price increase makes it more difficult for us," he explains: "Last year, I had to go to the U.S. for a competition. I did not have a visa that I had insufficient bank balance. " -It takes protein supplements that have been imported from the United States. - works for six to seven hours a day. "My most memorable moment is when I saw the tricolor flying high among the flags of all the Arab countries were the main participants in the event," said Khamkar. "I can not put into words what I felt when my name was announced." 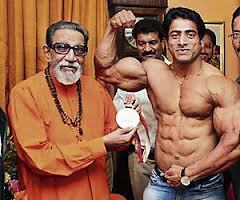 Main Thackeray was overwhelmed to see the muscle champion. At Matoshree, there was an exhibition of physical Khamkar a special request made by the Sena Supremo. "I am a disciple of Balasaheb. I'm here to ask for his blessings after winning this prestigious title, "he said. Khamkar, who practiced bodybuilding for the past 12 years, had a word of warning to young people who want to take the training. "There are no shortcuts to success and those who want to achieve something in bodybuilding will make an extra effort," he said. Huma Qureshi, an Indian actress as well as a model, is a fresh young talent in the B’ Town. Previously Huma had worked in various television advertisements and theatrical productions in Delhi. Huma Qureshi uses power yoga to boost her body’s flexibility and enhance her metabolic system. Power Yoga generally includes various exercises that help you to stretch out every muscle in your body and tone them as per your wishes. Eat several small and well-balanced meals every day rather than stuffing your face with food only 3 times a day. Biography: A simple girl born in Mumbai and brought up for some years in Goa, Ileana D’Cruz is the second of four children of parents Ronaldo and Samira. She has an elder sister named Farrah, a younger brother named Rhys and a younger sister named Eileen. Ileana D'cruz Says I did not works out at gym, I swim twice a week, and can manage 100 laps. I alternate between the breast, back and butterfly stroke. The combination helps tone my chest, inner thighs, shoulders, buttocks and arms. I runs four kilometers, three days a week for three months. And the results were instant. I discovered that running was liberating.I love to eat. I have four to five small meals a day to keep my metabolism going.